Software apps to order restaurant food for delivery are a multi-billion dollar industry disruptor that have forced restaurants into an introspective rethink of what they're for, writes Andrew Coppolino. Third-party software apps that allow you to order food from a restaurant and have it delivered to your home are gaining popularity: sales are now over $2 billion annually and growth is about 15 per cent each year, according to research group NPD. They're changing the face of the food and beverage industry and while the end-users — folks ordering food from the app — generally love it, many restaurateurs struggle with the idea. Jody Palubiski is managing partner at The Charcoal Group, based in Kitchener, Ont. It's a successful company and industry leader — you can find them on Open Table, a reservation system — but they don't participate in a mobile app program such as that offered by Skip the Dishes or UberEATS. Palubiski says both the cost of the service fee per order, which is negotiable depending on the restaurant's location (and is between 19 and 33 per cent), and the changing pattern of customer behaviour are problematic. He wonders if customers are being trained to stay at home. "Are we changing the industry in which we survive?" Palubiski said. "Are we training people not to come out and connect with other people and have a hospitality experience?" It's a good question, but there's also a case to be made for saying that a delivery app can result in increased promotion and mean increased revenue for the restaurant. The delivery app can be a portal into discovery, according to Xavier Van Chau, communications lead with Uber Eats Canada. "We've heard time and time again that traffic can increase in restaurants because diners have discovered a restaurant they like through delivery," Van Chau said. At delivery company Foodora, head of marketing Matt Rice adds they've seen a significant increase in mobile ordering apps in the past few years. "I think this has opened the door to a larger pool of potential customers for restaurants, customers that would have historically picked up the phone and ordered pizza or Chinese or cooked dinner at home," Rice said. Steve Allen says the apps can boost his revenue and they represent a sea change. Allen owns and operates Little Louie's Burger Joint and Soupery in Cambridge, Ont., and calls the apps a "necessary evil." "A few years ago customers could choose eating here, ordering and picking up, or having it delivered without eating my bottom line. Now, there's a whole new market. The choice isn't just to order from Little Louie's. It's to order if we're on an app. If we're not, they will order from somewhere else. If I bail on that, I'm bailing on a huge market share I once used to be part of before the change," Allen said. There is a lot of business being done. With more than a million active customers placing millions of orders each month, Skip The Dishes says they help their restaurant partners "expand their reach, serve more customers, and earn customer loyalty. In a marketplace increasingly ruled by the expectation of greater convenience and choice, online delivery provides the options more customers want," according to information provided by the company. That can certainly be the case, but in the third-party delivery process, restaurateurs don't like losing control of the food and the relationship with the customer once the packaged meal leaves the restaurant, as Nick Benninger of Waterloo Ont. 's Fat Sparrow Group explains. "We struggle with the service aspect, both the service we get from them and the service they provide our customers on the other end. I really hate losing control of that customer piece," Benninger said. What we find frustrating is that we can't engage with the customer directly. - Jay Taylor, Morty's Pub in Waterloo, Ont. Jay Taylor of Morty's Pub in Waterloo expresses a similar concern, though he recognizes their value. "We do see the potential in the app to generate more revenue," Taylor said. "What we find frustrating is that we can't engage with the customer directly." It is not always the case that a restaurant is easily able to communicate directly with a diner who has had a problem with a delivery. Restaurateurs universally don't like that. 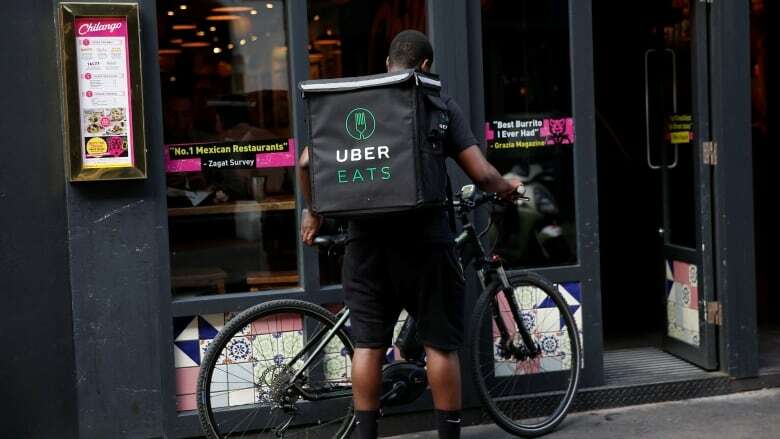 Uber Eats has partnered with more than 150,000 restaurants around the world and about 10,000 in Canada. Van Chau says customer contact depends on the circumstances of the incident, whether it's a missing part of the order or dissatisfaction with the food. "That's typically managed directly through Uber," Van Chau said. "We manage the refund or re-dispatch, depending on the consumer's preference." 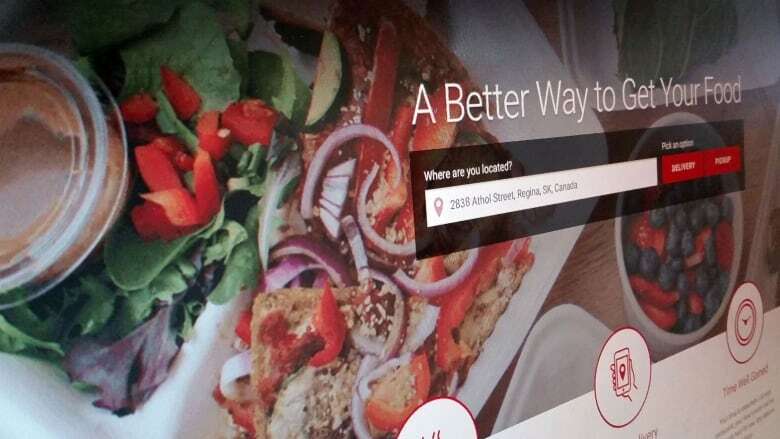 Where there are issues, Skip the Dishes says it will "work with our restaurant partners to determine how the order was affected and follow up with the customer to ensure an overall positive experience." At Foodora, dissatisfied customers go through the company's support channels, according to Rice. "There are certain instances when a restaurant would be in touch with a customer," he said. Thompson Tran, owner of Wooden Boat Food Company in Kitchener, says he doesn't want to take a risk with the quality he is trying to achieve with his food and the customer connection. "I'm not willing to sacrifice high-quality service and food, especially when I've spent good money on excellent ingredients. That needs to be respected," Tran said. Like Palubiski at Charcoal Group, the Neighbourhood Group of Companies based in Guelph, Ont., hasn't made the delivery-app leap yet. 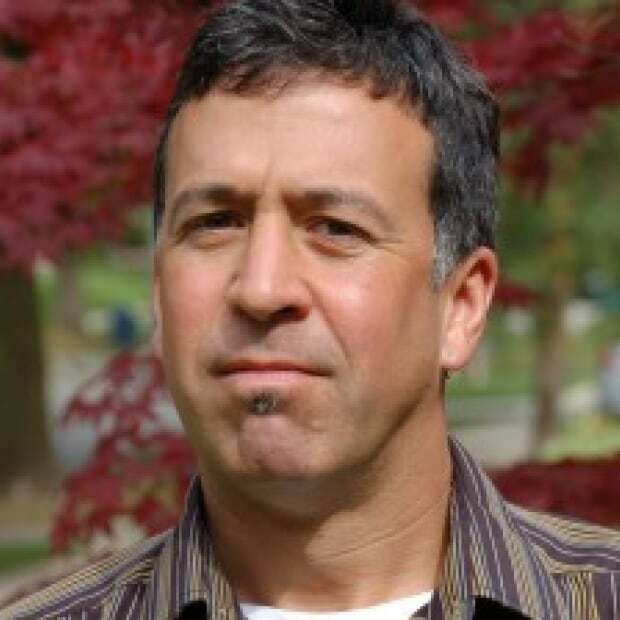 The Group, including Borealis Grille in Kitchener and Guelph, is concerned about frustrating potential customers, according to the group's chief operating officer Neil Robinson. "My biggest fear is that most orders are coming in when we are at our busiest, and that throws a huge wrench into the flow of the kitchen if you're not used to it," Robinson said. On the other side of the equation, what's interesting is that few diners likely realize the variables restaurateurs struggle with — including hefty 20 to 25 per cent fees the restaurant pays the delivery company; perhaps they don't care: all they want is food and they want it quickly caring little about the $4 or $7 delivery fee. I asked some diners if they used a phone delivery app and what the experience was like. The vast majority of the few dozen respondents said they use one app or another, and their complaints were minor and mostly the same as if they were actually in the restaurant. For example: the food was not hot enough, part of the order was missing, or they simply didn't like the dish. French fries, whether delivery or you take-away yourself, really can't survive a 15-minute drive. The apps, it should be pointed out from the diner's perspective, can address important accessibility and preference issues: a few people described to me that they had difficulty with mobility, didn't have a car, or, in one case, was a pregnant mother with trouble getting around. These are all good reasons why a delivery app is useful. As with all disruptive commercial technologies, a disconnect between merchant and consumer has been created where there wasn't one before. It's transforming the food industry, virtually all restaurateurs agree. "It's game-changing, and we have to deal with it," Taylor said. "Everything is a learning curve."